What’s the biggest responsibility you have as a pet owner? Making sure your pets live a healthy and happy life, of course! Obviously, you want to give them a ton of cuddles, plenty of exercises and healthy food to eat every day. But beyond that, pets have other basic needs that need to be met just like us humans do. With that said, here’s the ultimate pet owner’s list of activities that will keep your pets happy and healthy every day of their precious lives. Almost every kind of pet has some sort of special requirements that are unique to their breed. It’s easy to fall in love with their cuteness, but remember that cute furry face will take a good amount of your time and commitment. They can also get expensive. Before jumping blindly into pet ownership, consider the time and resources you have to properly take care of one. Will you be able to afford healthy food, veterinary care, toys, sleeping quarters and the countless other things pets require? Don’t stretch yourself thin. If you’re even remotely doubting your ability to afford to take care of him, you might want to wait until you’re sure you can. What about when you go on vacation and need a pet-sitter for a few nights or weeks? Is that something that’ll comfortably fit into your budget? Spend time exhausting every question you have about your ability to raise a pet. It’s better to think it through now than be surprised later. This is true for dogs, cats, rabbits or most other pets you can think of. There are tons of serious and sometimes fatal illnesses that vaccinations protect against . It’s absolutely vital to get your pets vaccinated against all potential illnesses, and that you keep up with scheduled booster shots so they remain immune to dangerous diseases. Some pets are easier to train than others . Keep this in mind when choosing the kind of pet you’re going to adopt. Remember that well-trained pets are typically very happy. The better they behave, the easier it is for them to be a part of daily activities around the house. They’ll also be happily welcomed into places that a misbehaved pet won’t. When training your pet, make it as fun as possible. It’s best to train in sessions that are short and rewarding. Never hesitate to reward them for a job well done! When you brush your pet’s fur on a regular basis, you’ll get to easily check for things like bumps, lumps, scratches and potential parasitic activity. You’ll also be removing dead hair while distributing essential hair oils that keep their skin and coat healthy and soft. It’s a great bonding experience for the 2 of you, as well. Talk to your veterinarian about what specific diet requirements your pet has, then make every effort possible to meet them. Limit treats if you start to see weight become a problem. When concerns arise, your vet can talk to you about other food options and help you keep their weight to an acceptable level. Just like us, pets love their treats. But when it starts to impact overall health, it’s time to cut back. It’s not just dogs that need exercise either. There are plenty of ways to keep your cat in good shape and entertained. If your pet isn’t getting enough exercise, there’s a chance they could suffer from conditions like arthritis, heart disease and diabetes later in life. According to the ASPCA, over 6.5 million pets go missing in the U.S. each year. That’s a scary statistic. To combat this, make sure your pet has a clear identifying tag on their collar and is microchipped. Dog owners often get comfortable with having their dogs run around off leash, however, when going to new places with new smells, you should always keep your dog on a leash. Once you visit the boat storage near me multiple times and they have checked out the new smells, then you can take them off their leash. Also, in densely populated place and in large expanses like the woods be cautious about taking their leash off. The more time you spend bringing happiness and health into your pet’s life, the more happiness they’ll return to you. Pets are precious lives and deserve to be treated that way every single day. Do you have other ideas for keeping pets happy and healthy? Share with us in the comment section and let’s discuss! 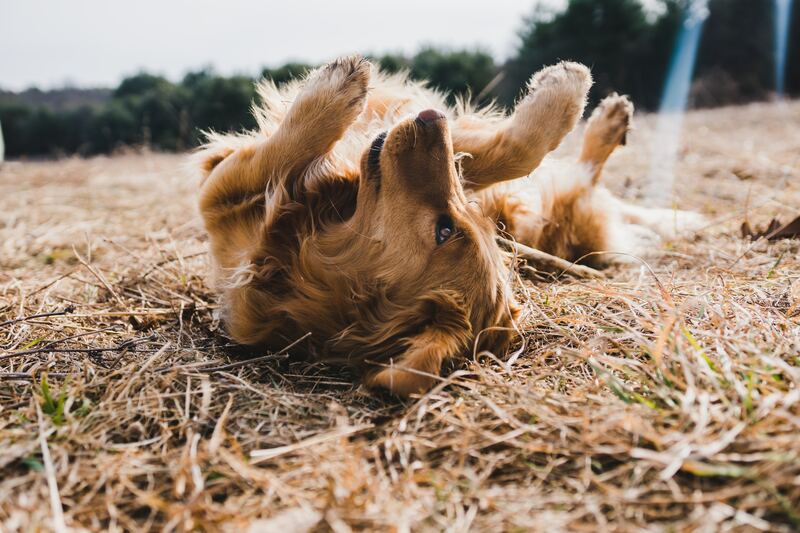 Jenn Lee, is a family blogger and proud parent of Reggie the Golden Retriever .